NEW YORK, Oct 1, 2010 / — With October as Breast Cancer Awareness month, Carolee and Amrita Singh have designed specific pieces to support this cause. From a charming warm necklace to a fun blooming ring, what a better way to show your support than to purchase these items and help find a cure for all breast cancer patients around the world. Items for Carolee are available at Bloomingdales and www.carolee.com, 10% of retail sales will be donated to the Breast Cancer Reasearch Foundation. 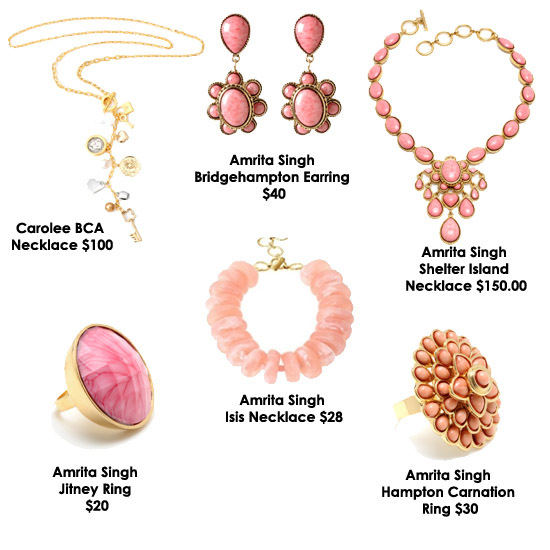 Amrita Singh is available at www.banglebangle.com , 20% of retail sales will be donated to the Breast Cancer Research Foundation.